Hey guys! Time for some fresh, fresh music! 19-year-old singer/songwriter Jade Bird has released her debut EP Something American. This is a beautiful introduction of her music to the world and I am really enjoying this EP guys. Jade mixes 3 music genres that are dear to me: pop, folk and country. The result is a stunning 5-track EP that twists those genres’ big themes – disillusionment, divorce, cheating, sorrow – into the realities of an independent-minded, modern British teenager in 2017. The title track, my favourite, reverts the image of an isolated suburban housewife in its steely dismissal of those who chase a romanticised ideal (whether the American dream, or a new lover). Good Woman, meanwhile, is more feel-good but no less furious, rejecting the powerlessness of a cheated spouse. Jade also provides a gorgeous rework of the delta blues standard Grinnin In Your Face, which showcases her mature vocal range. The EP closer What Am I Here For is more fragile, and a tender call for someone who you can trust and find your place in the world alongside. I am in love with this EP guys. Stream it below! The EP as a whole was largely recorded in Rhinebeck and Palenville, Upstate New York. It was produced by Simone Felice (Bat For Lashes, Conor Oberst), which saw Jade lead an eclectic cast of collaborators (Will Rees from Mystery Jets, Bob Dylan’s guitarist Larry Campbell, and Matt Johnson – who played on Jeff Buckley’s ‘Grace’ – on drums). Classic, contemporary, and a total breath of fresh air in the current musical landscape, Jade Bird is that rare, next-generation artist who appears as clued up on the past as she is determined to learn from its lessons: in control, sometimes in your face, and in possession of gifts beyond her years. 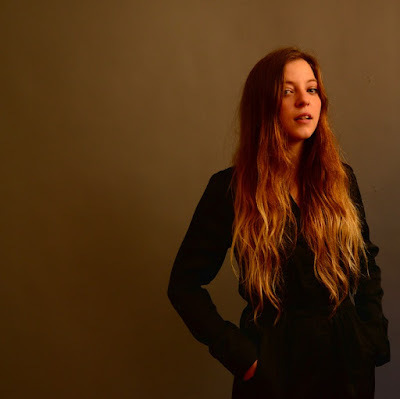 As a child, Jade Bird’s life was spent mainly in flight. Her parents met whilst serving in the army, and so the family set down roots variously in South Wales, Germany and Chesterfield (but were constantly on the move). One of life’s few constants proved to be the influence of strong working women, at first via her mother and grandmother who largely raised her, but later the female role models within the musical subcultures Jade become obsessed with: from troubled but empowering country heroines like Loretta Lynn to icon alternative songwriters like Patti Smith, and following a thread through folk and Americana to the potential of crossing such confessional, undiluted songwriting into pop music (Alanis Morisette’s ‘Jagged Little Pill’ as a similarly early touchstone). Jade will headline London’s Omeara on October 17th. This weekend she will support Tom Petty at British Summer Times at Hyde Park.